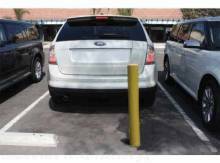 Bumper Mounted Warning Sensors by Echomaster - Reverse * The Rear Sensing System provides up to 7 feet of coverage behind the vehicle. * When the vehicle is engaged in reverse gear, the ultrasonic sensors start silently scanning behind the vehicle. * Once in range of sensors, audio tone starts beeping, speeding up as object gets closer, until 1-2 feet away a solid tone is heard. 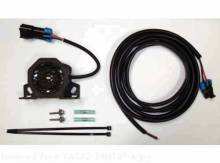 * Sensor requires Installation Tool Kit(VAS4Z-15A866-C, sold separately) to properly install at correct angles.